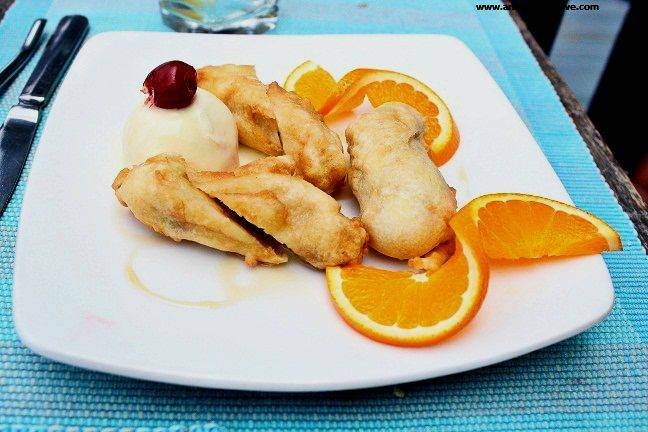 Fried Bananas with Ice cream at Sea House Maldives. While this was the first time I had 'fried' bananas I found it really did give an awesome taste when served host with freezing cold ice cream. This will surely take your taste buds for a joyride !